According to Nielsen Media Research, “MediaBuzz” had 963,000 total viewers, with 327,000 in the A25-54 demo. “Reliable Sources” came in significantly under that at 614,000 total and 132,000 demo viewers. 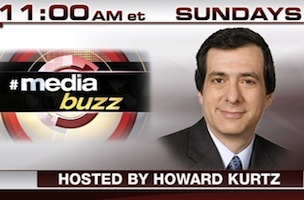 Sunday, September 7 marked “MediaBuzz’s” one year anniversary, up 146% in the A25-54 demo compared to last year’s numbers. It was also its second highest demo.